New shoes on the WRX. 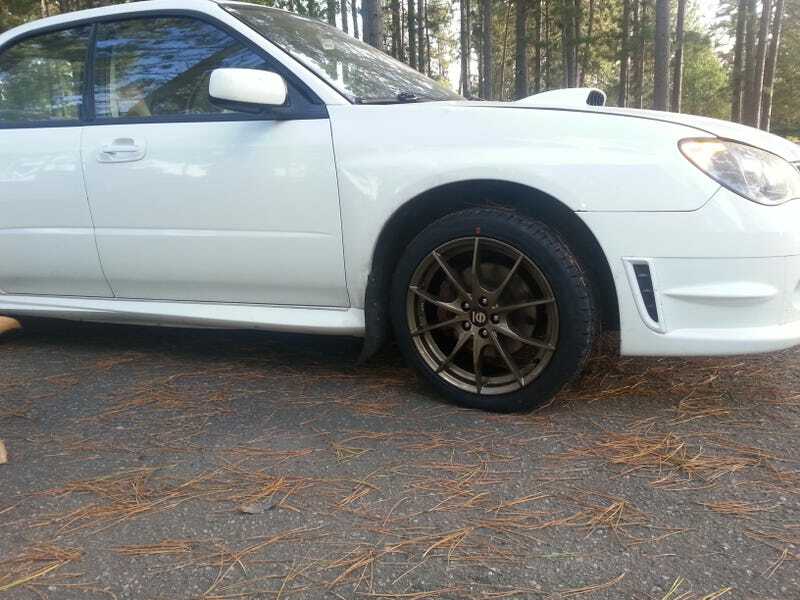 Finally purchased new tires and rims for my 06 WRX Limited. Went with Sparco Trofeo 5s in bronze. They look great in my opinion. The tires are Hankook Ventus V12 evo2 because they where cheap and had a $100 rebate. OOveral I’m thrilled and my wife even likes them. Light is going down or I’d take more pictures. Plus it is very beat up and needs a new hood, fender, bumper cover and door skin. Thanks deer. And parking lot idiots.